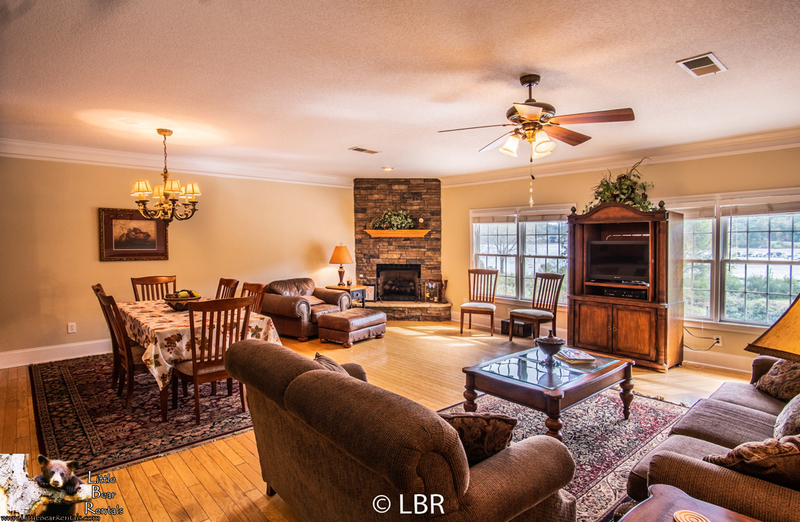 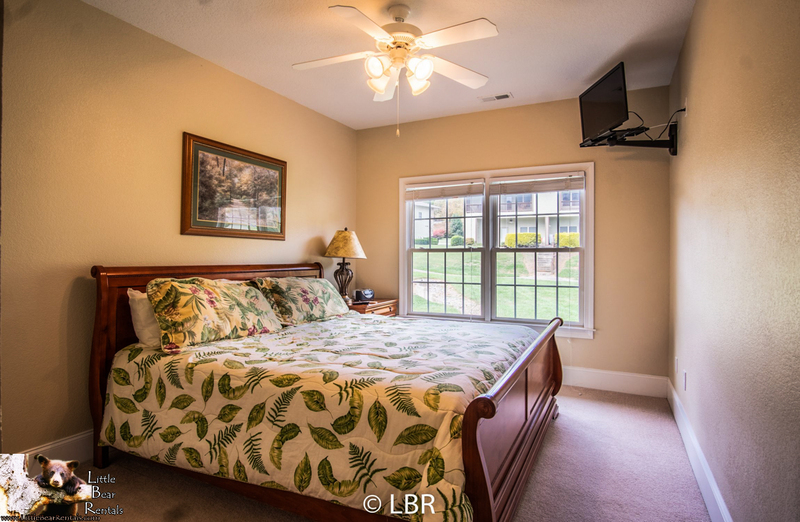 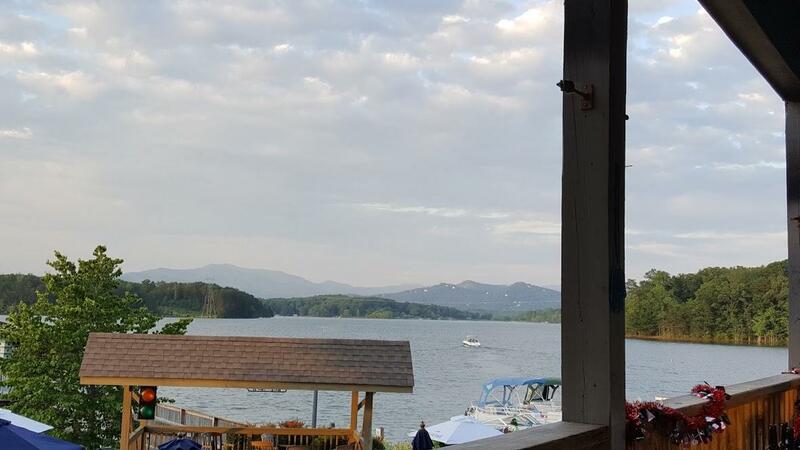 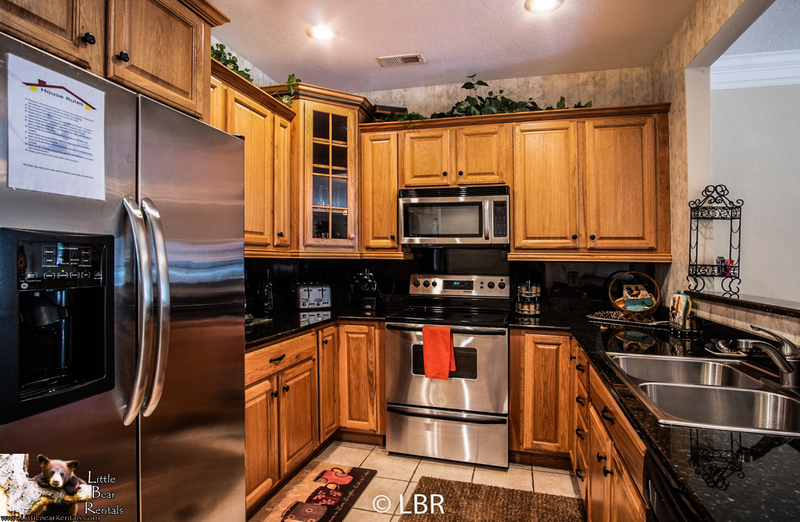 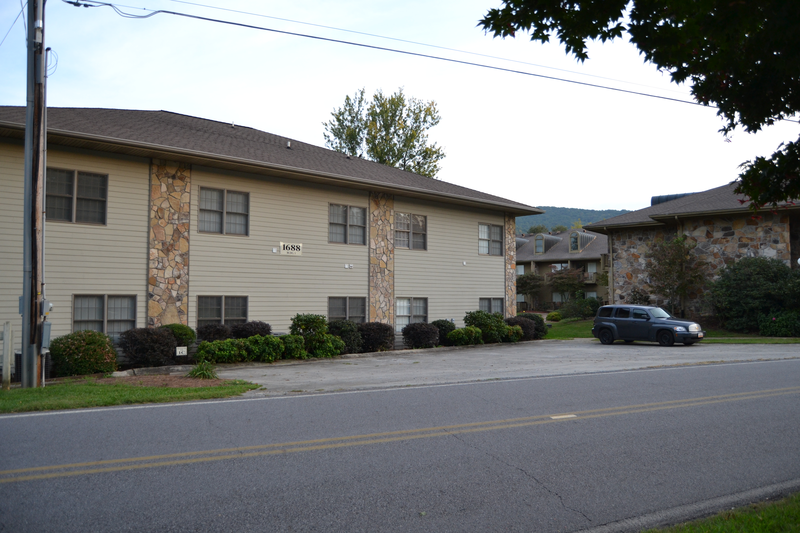 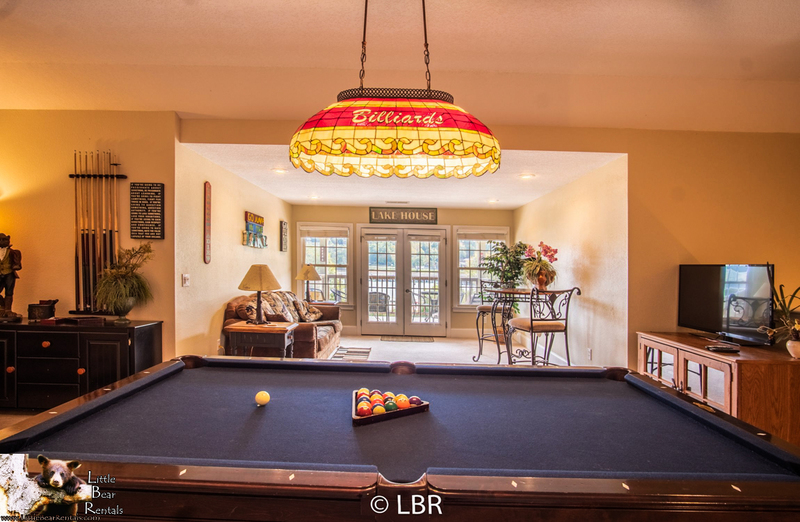 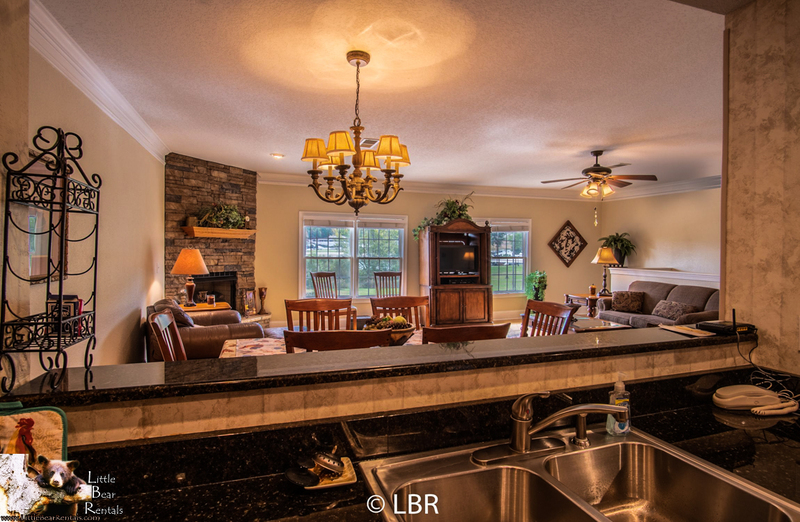 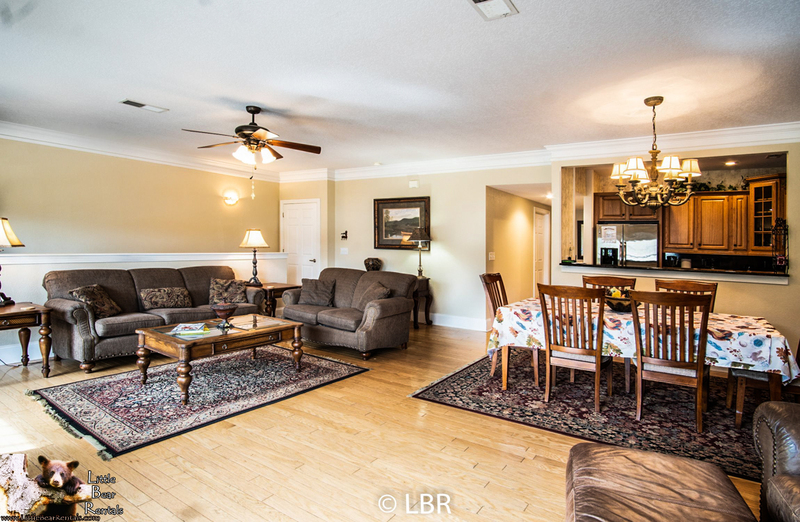 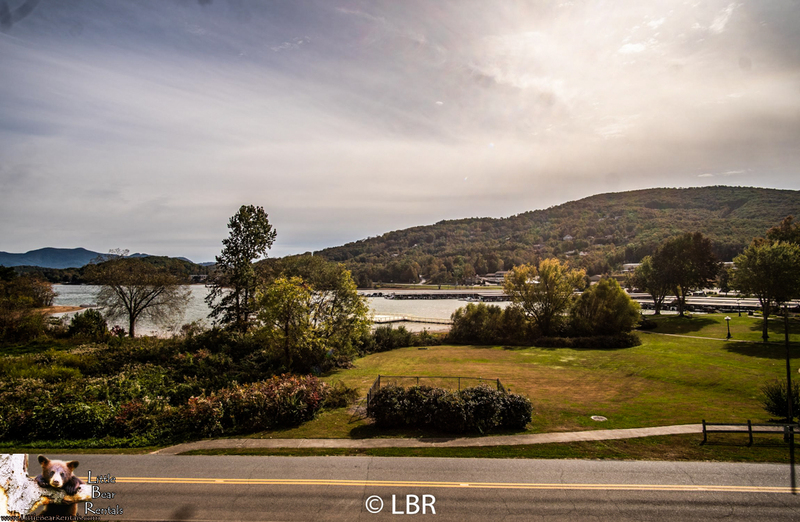 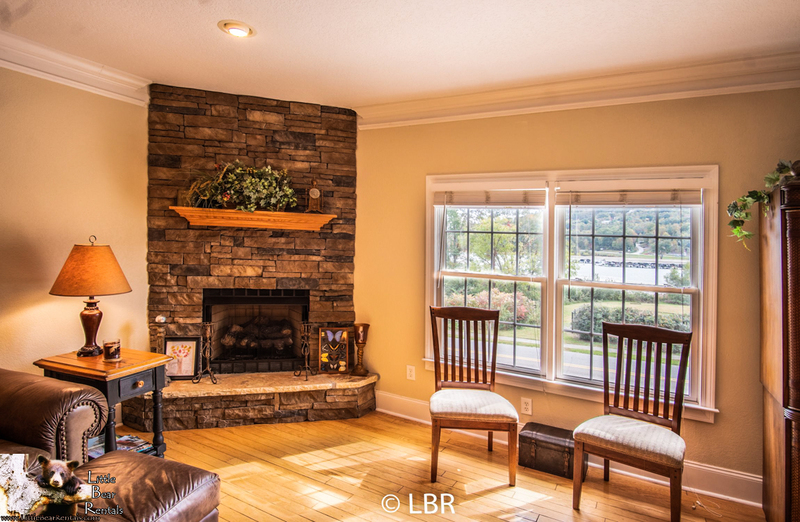 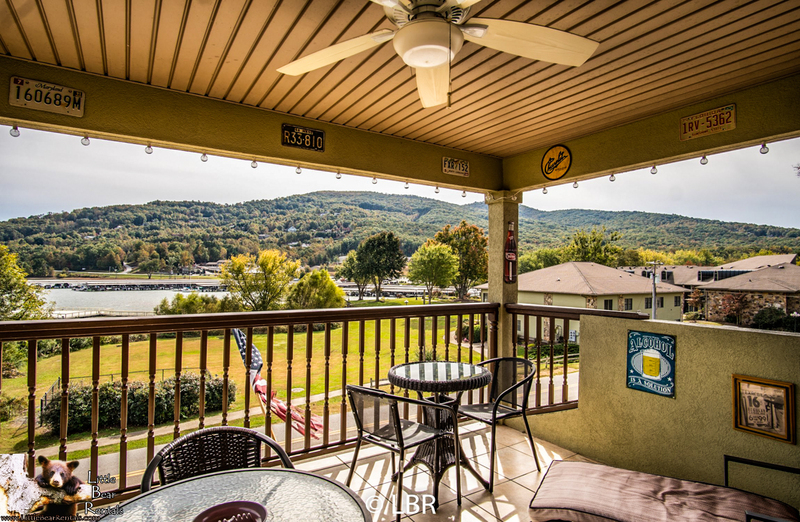 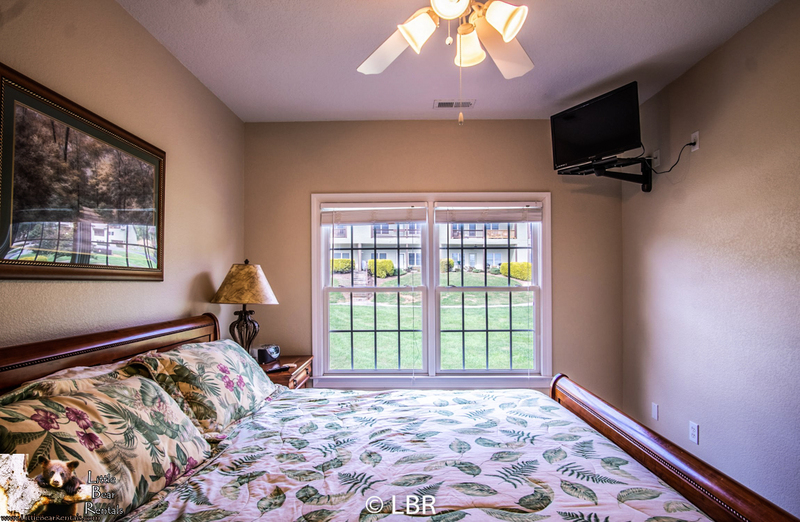 This 3-4 bedroom, 3 bath condo has beautiful views of Lake Chatuge, along with a wide view of our lovely Mountains. 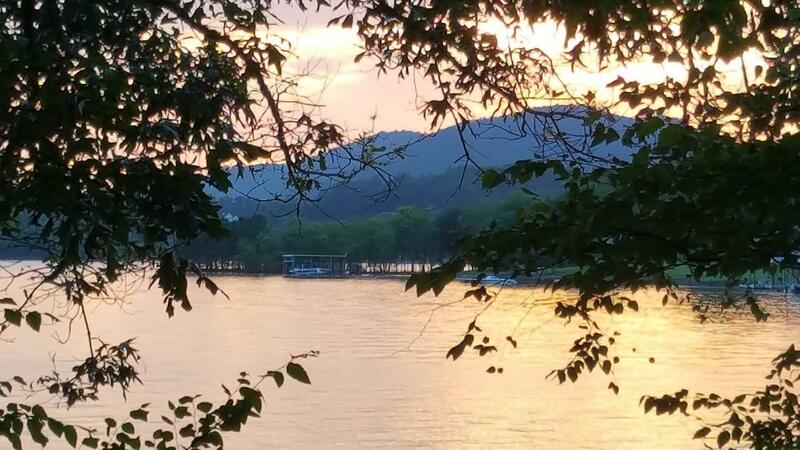 You may enjoy the near by activities this growing mountain town has to offer, including fishing, swimming, water skiing , hiking, site seeing as well as cute unique locally owned stores. 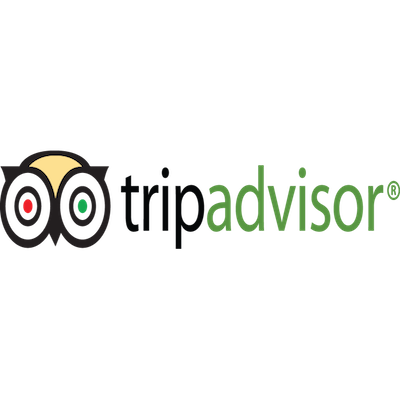 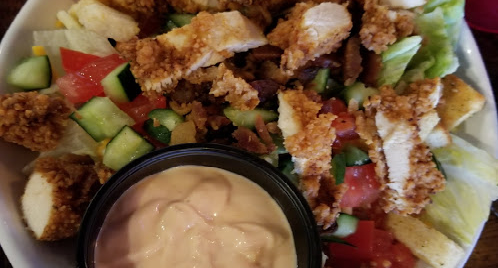 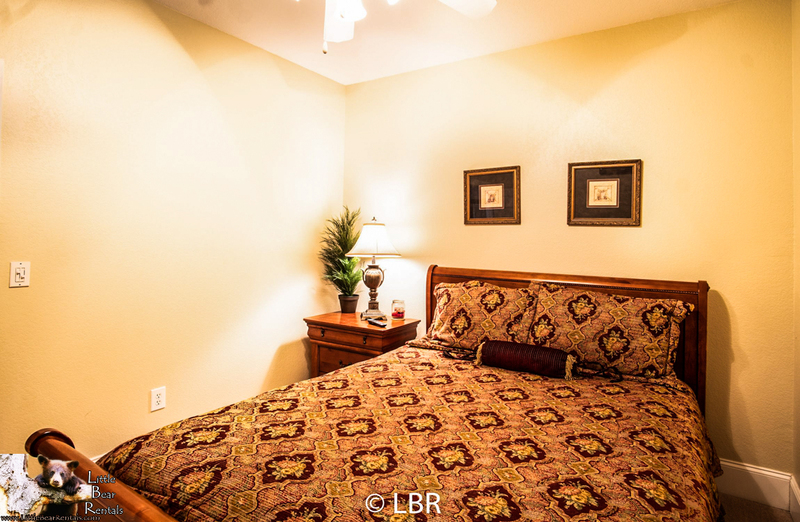 We also have wonderful restaurants and entertainment located near by. 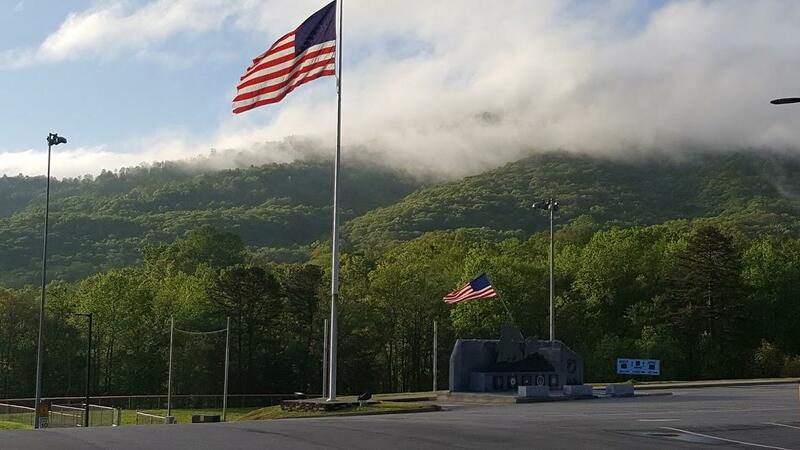 Just to name a few we have Fun World, Fieldstone Cinemas Six, Georgia Mtn Fairgrounds, and Towns Co. Beach and Playground. 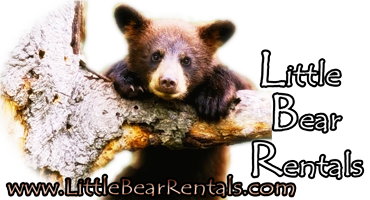 Also available are watercraft rentals, horseback riding and lets not forget Brasstown Bald and our many waterfalls. 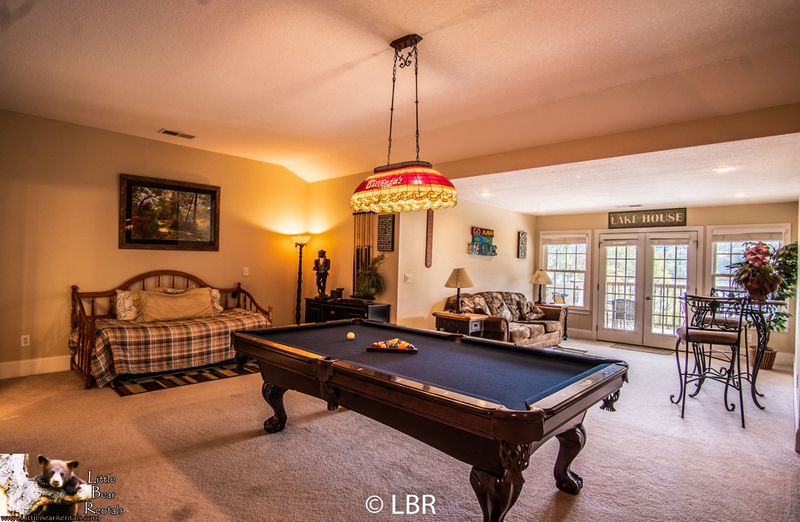 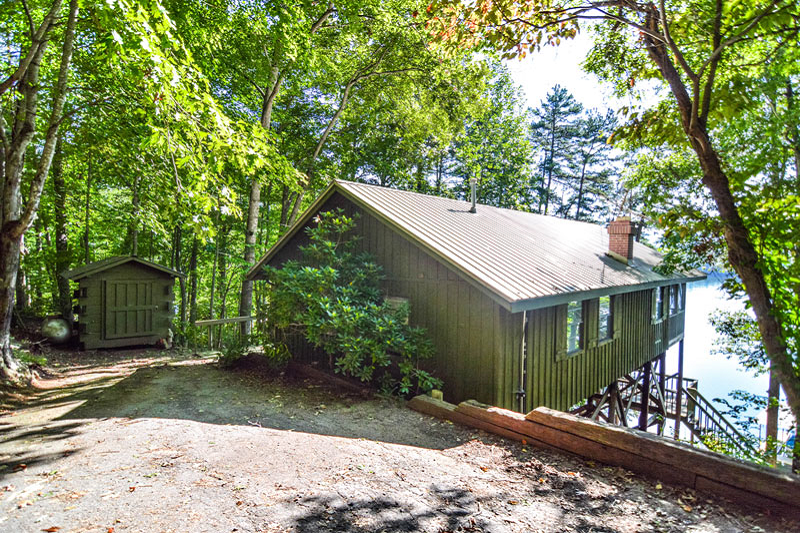 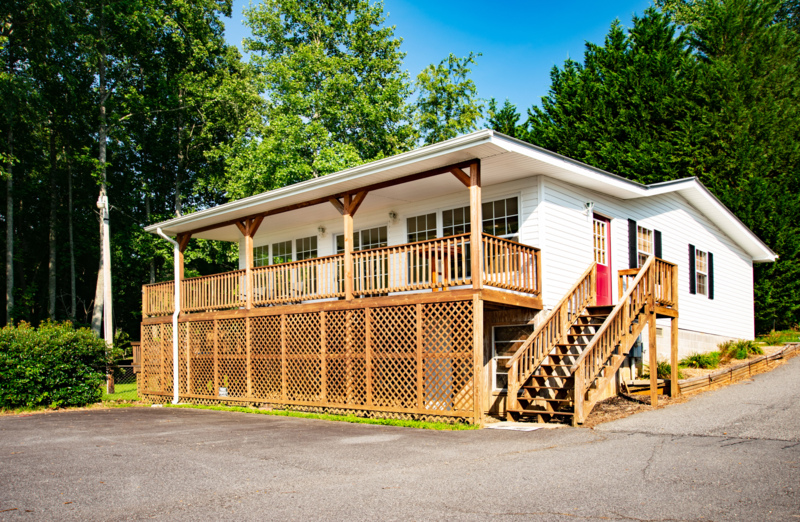 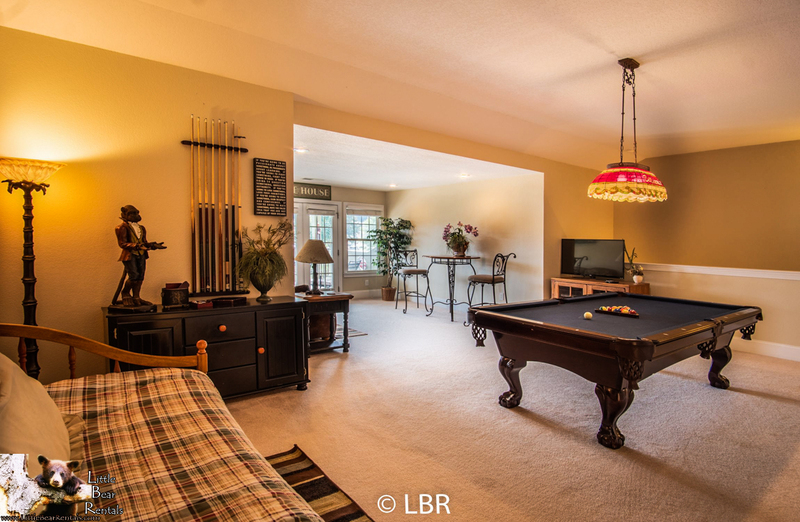 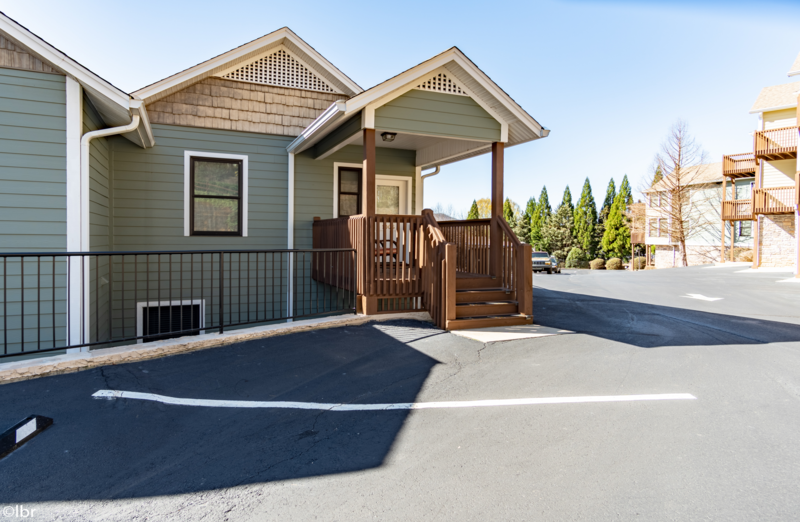 This condo offers all that you need to enjoy a wonderful family vacation in the North Georgia Mountains! 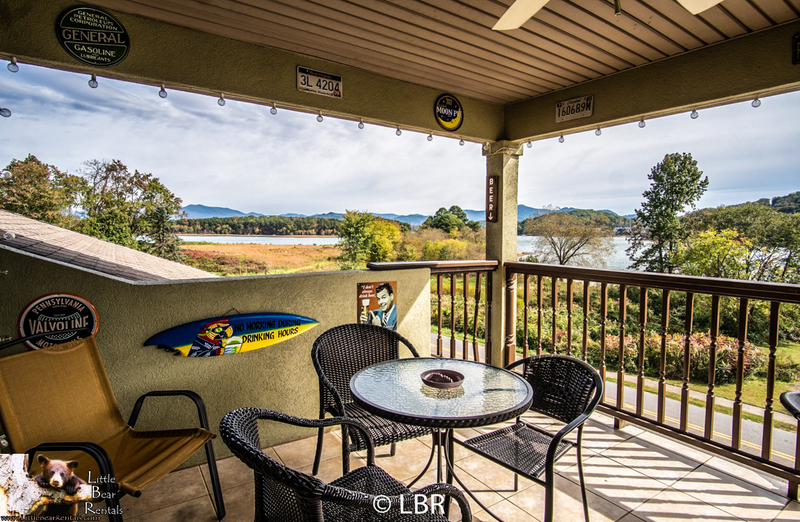 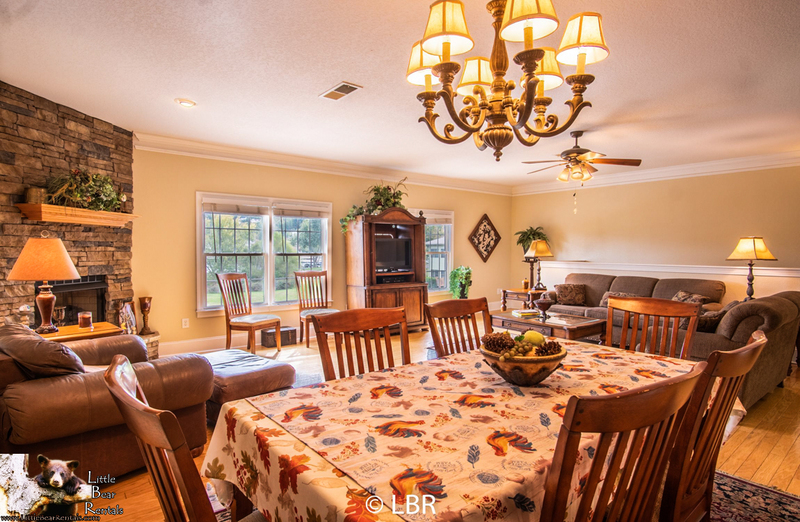 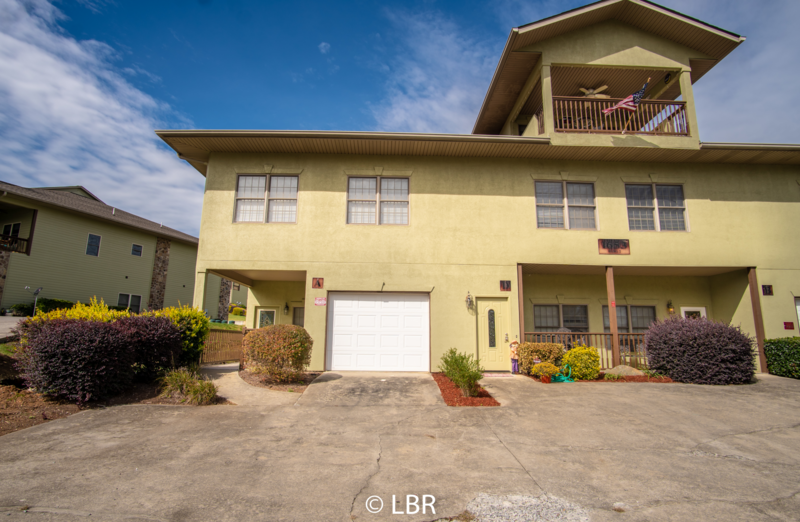 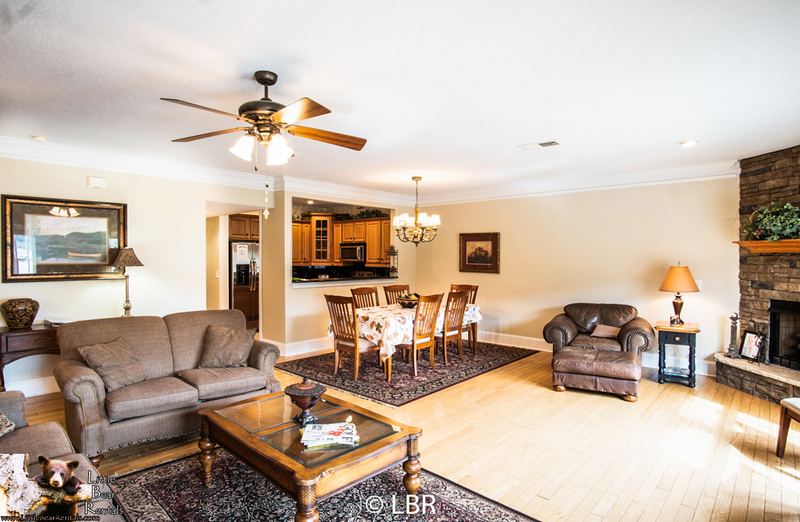 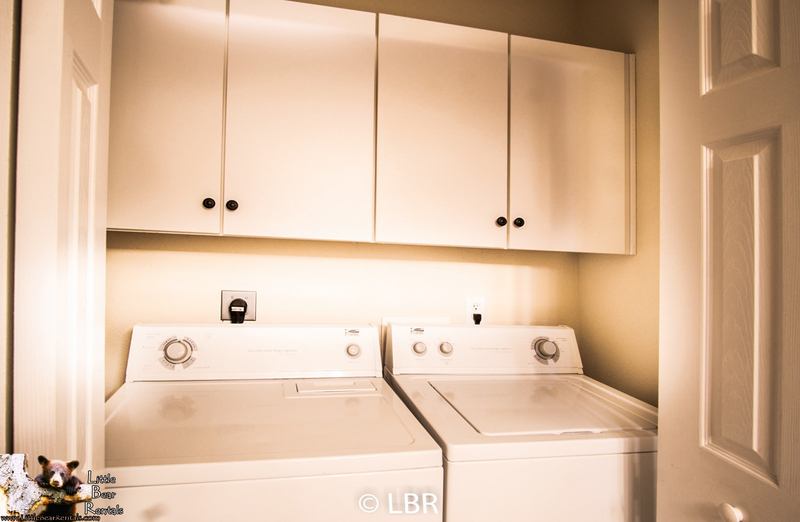 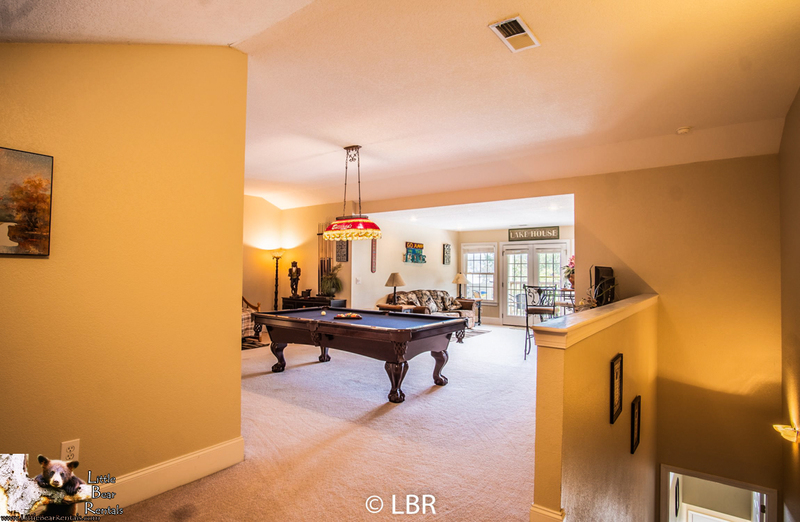 This beautiful 3 bedroom condo comes with beautiful views of Lake Chatuge and the mountains of North Georgia. 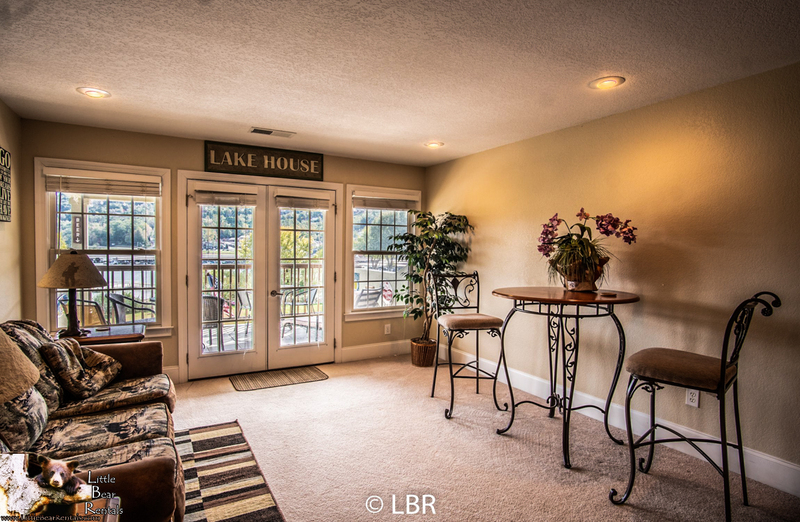 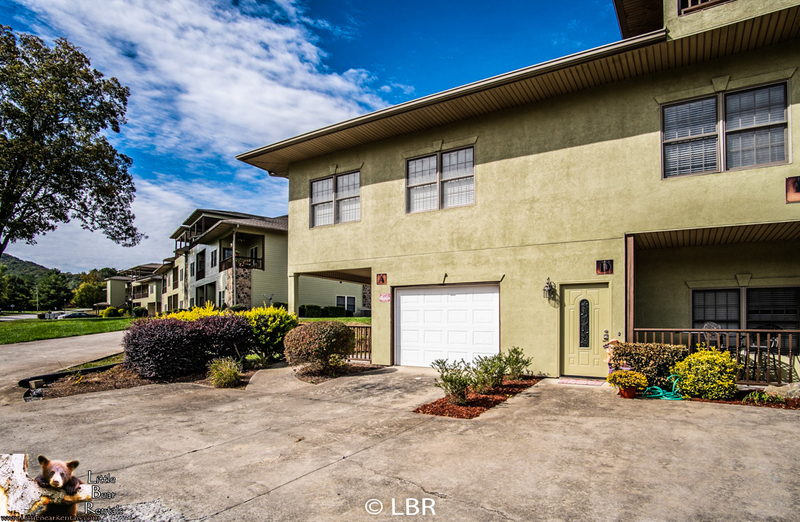 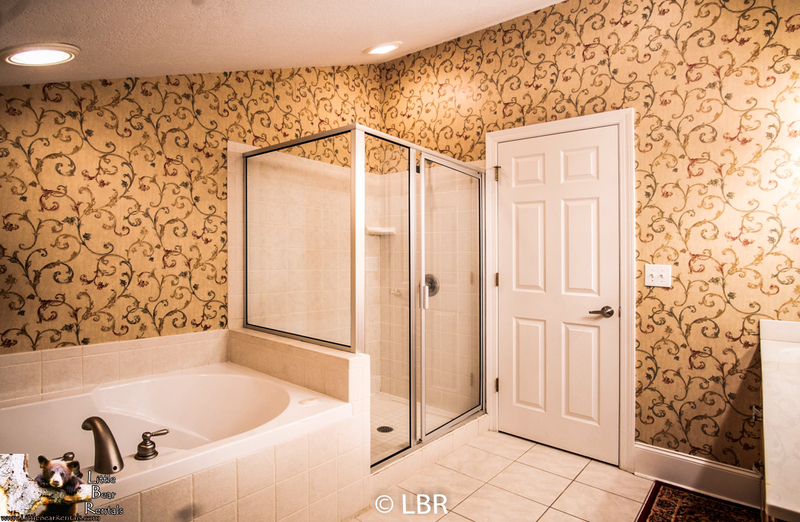 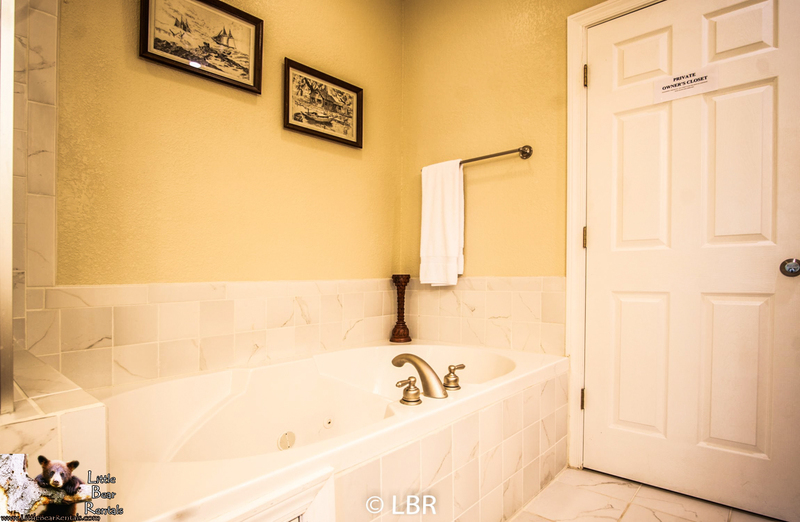 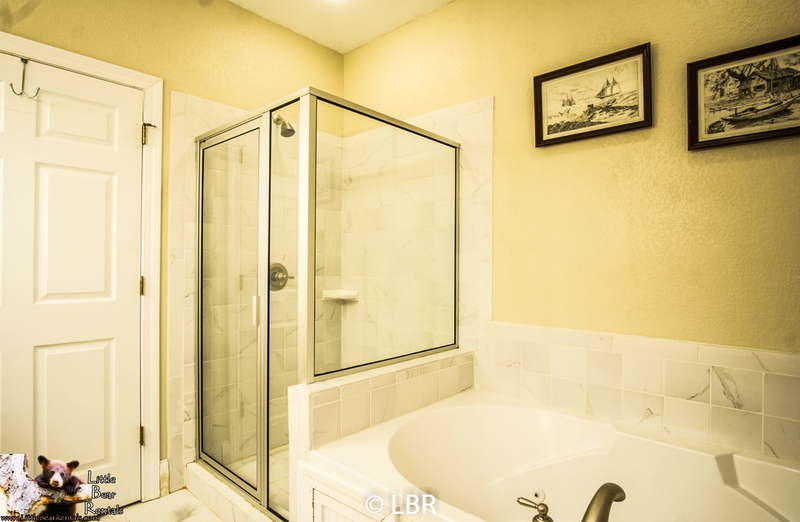 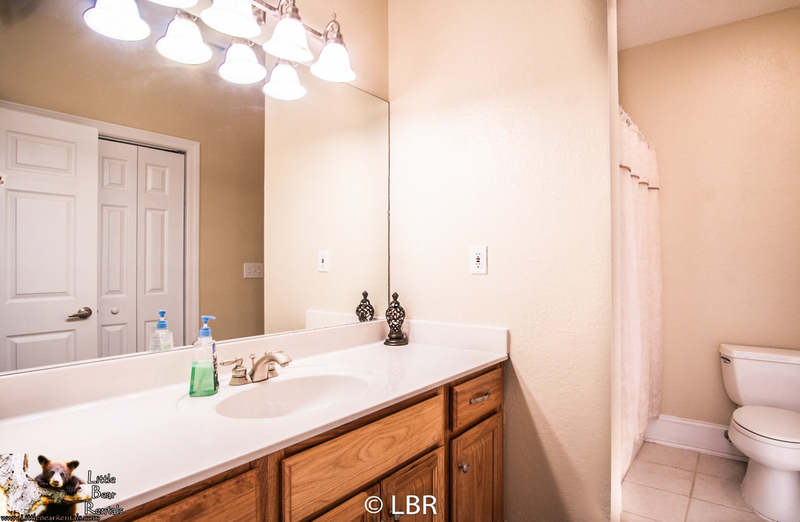 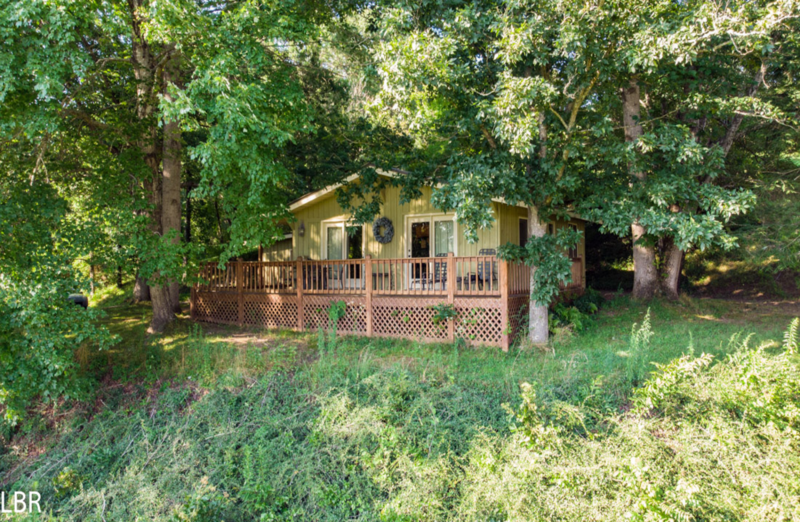 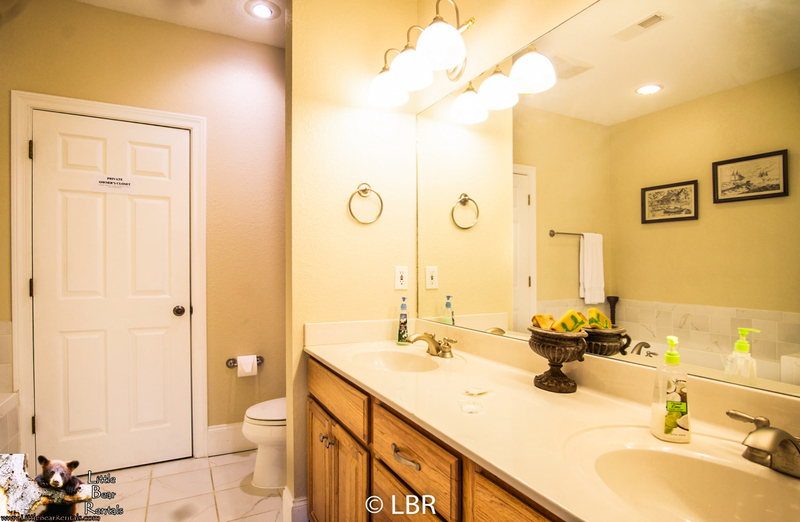 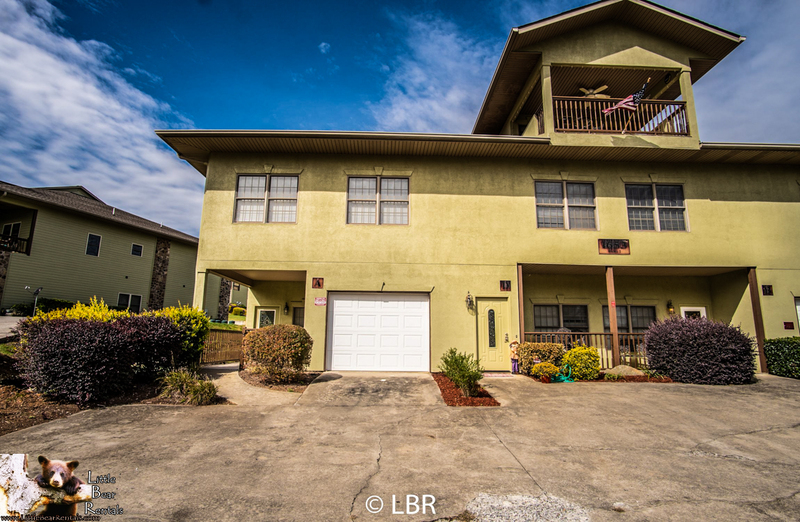 The home is directly across the street from the lake and you can enjoy the scenery on your private balcony. 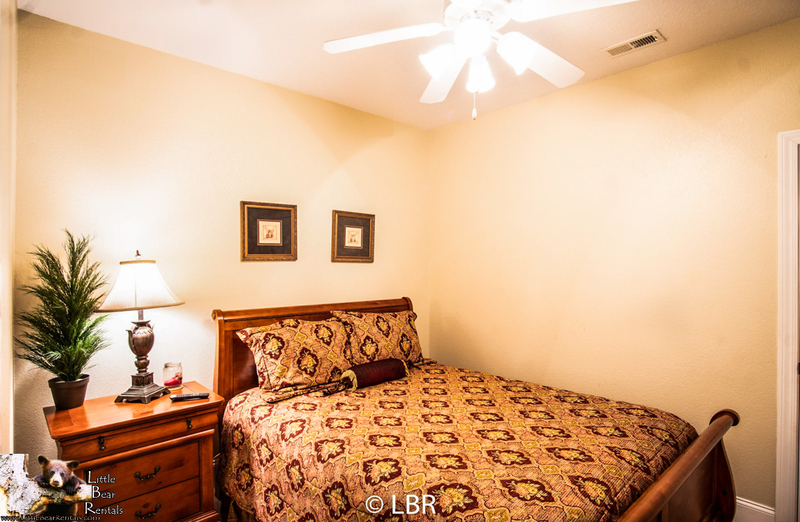 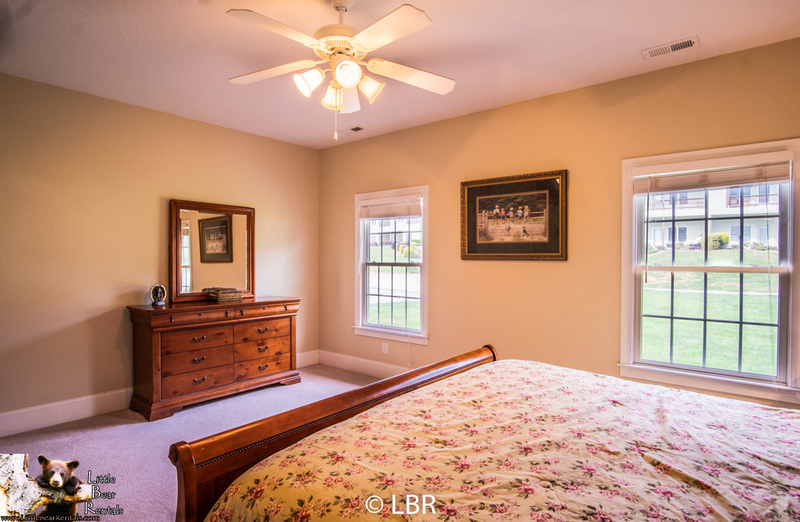 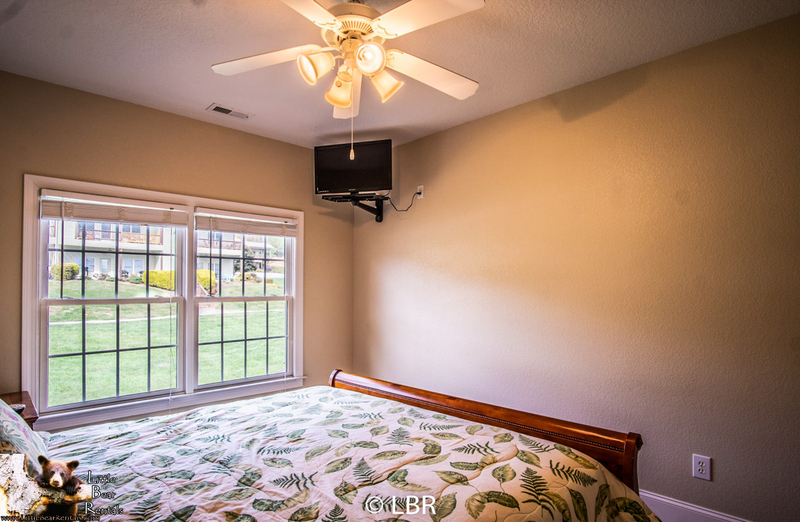 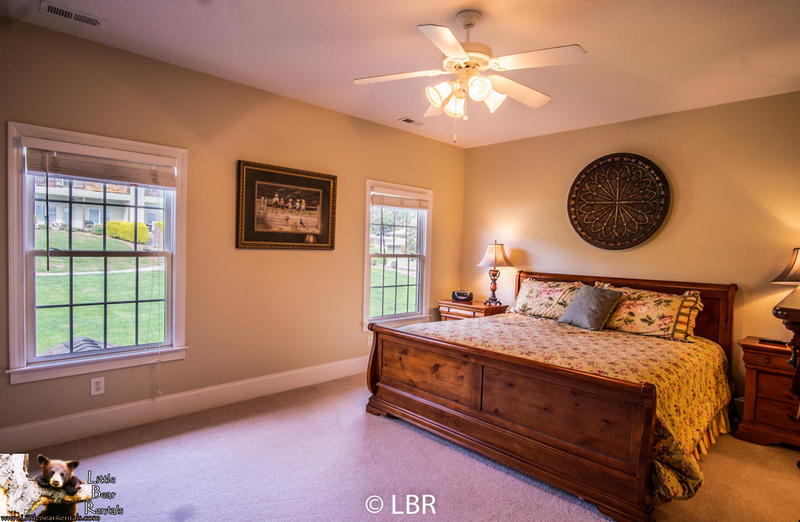 The home offers a king bedroom, and 2 queen bedrooms. 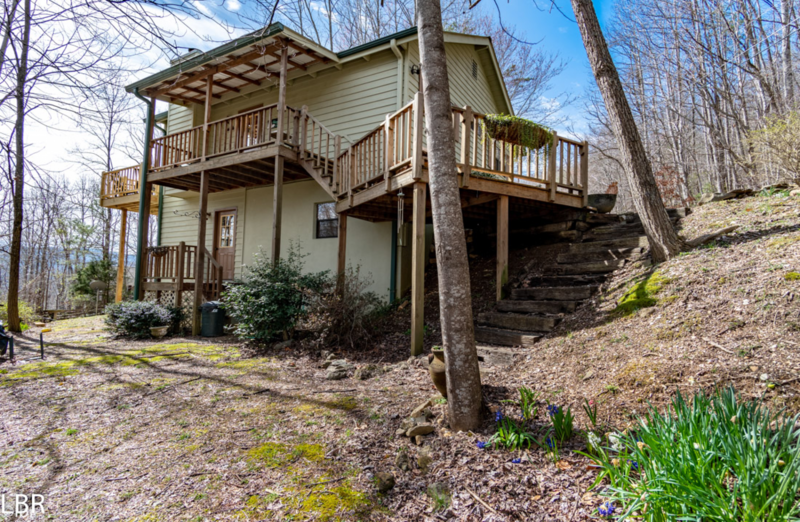 Up stairs is a loft-type area with a pool table, bathroom, balcony facing Lake Chatuge, and 2 daybeds with trundles underneath. 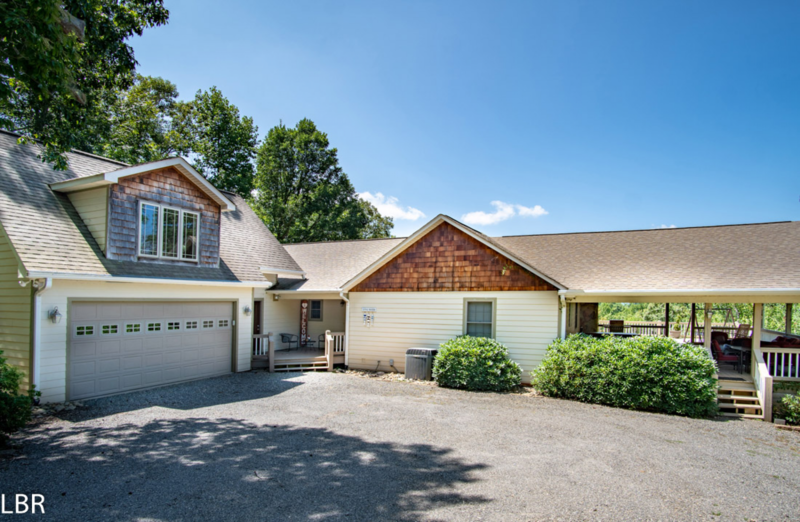 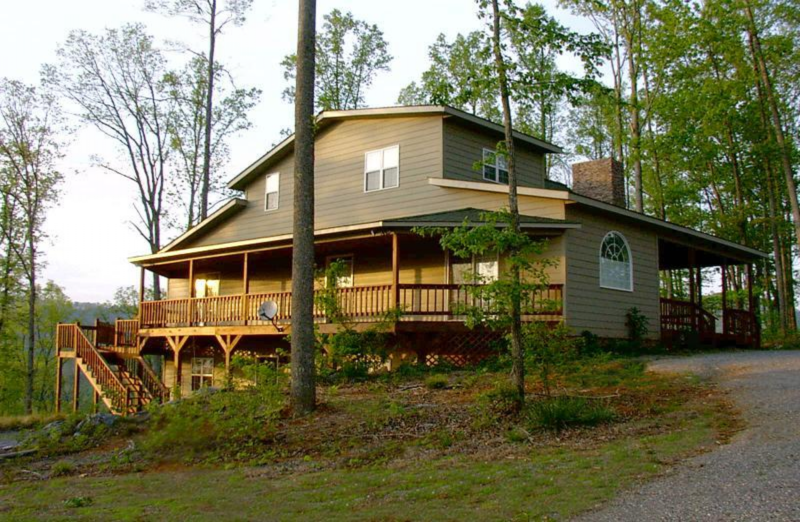 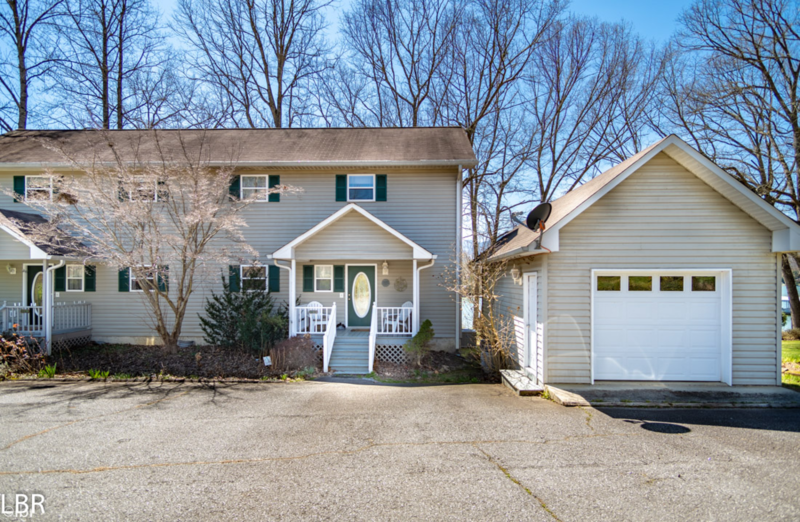 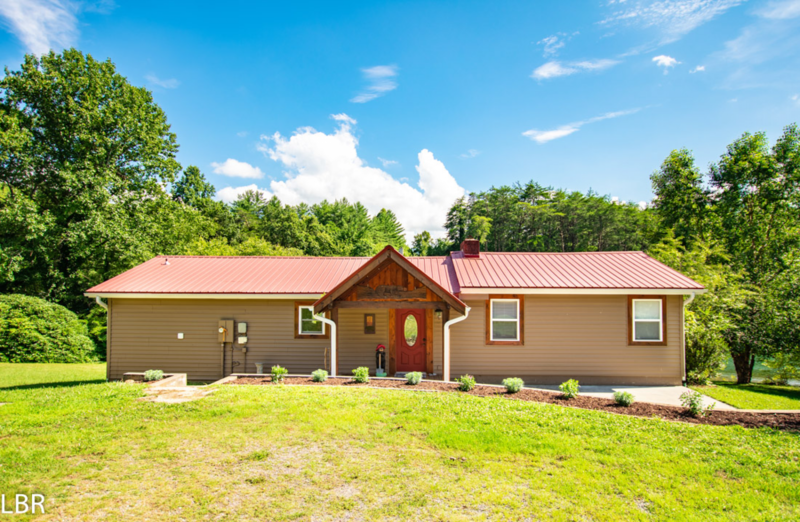 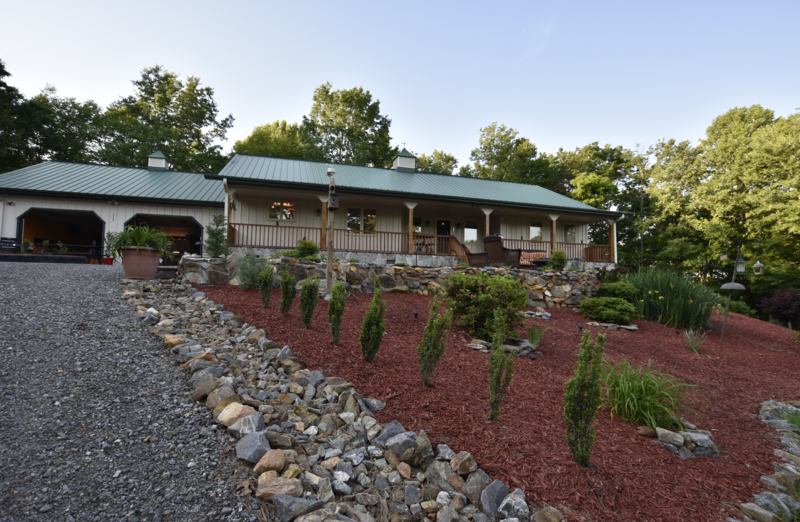 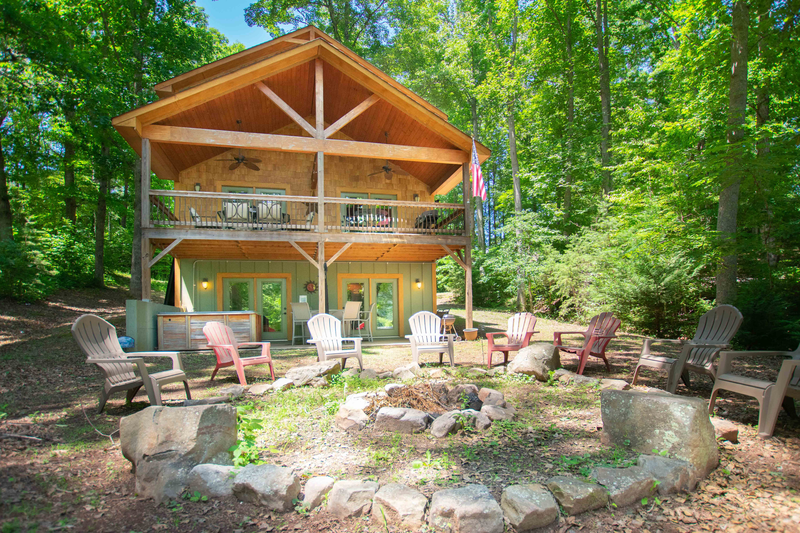 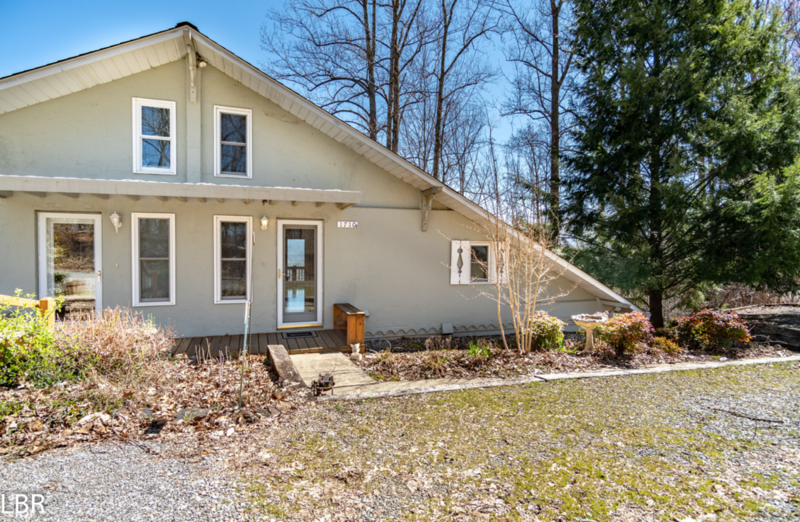 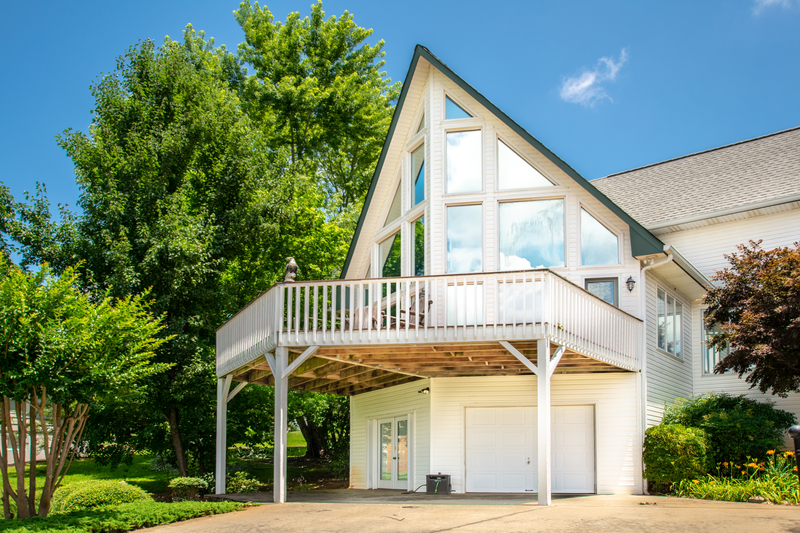 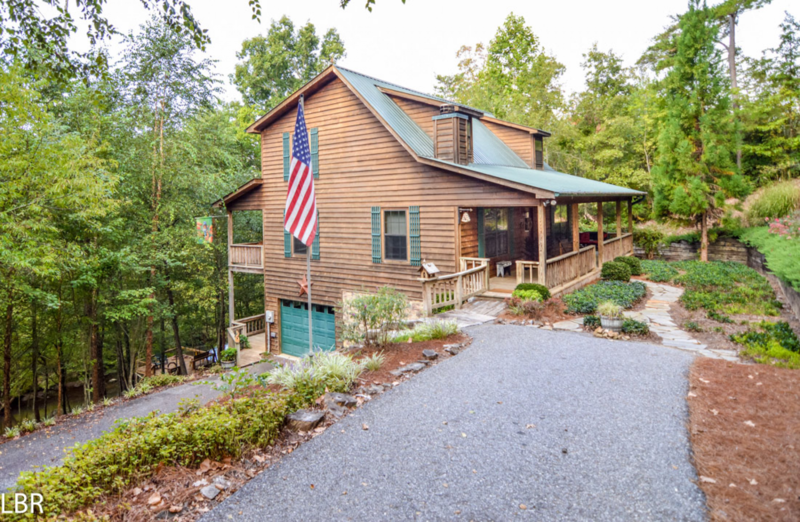 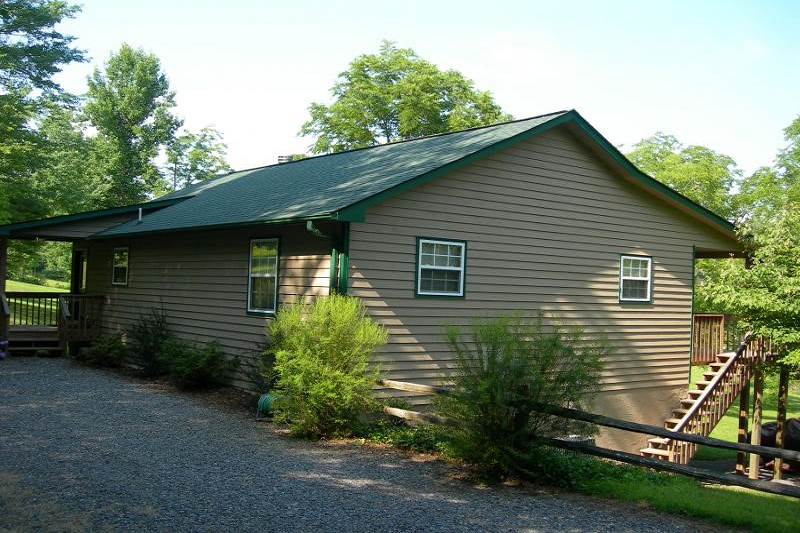 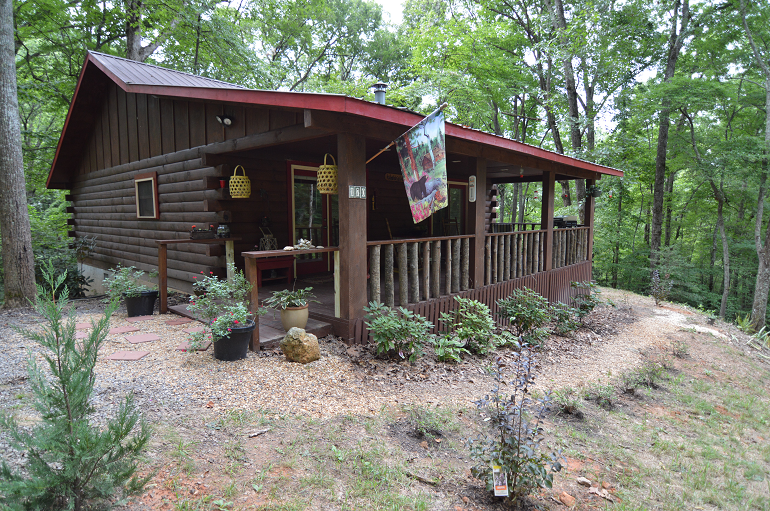 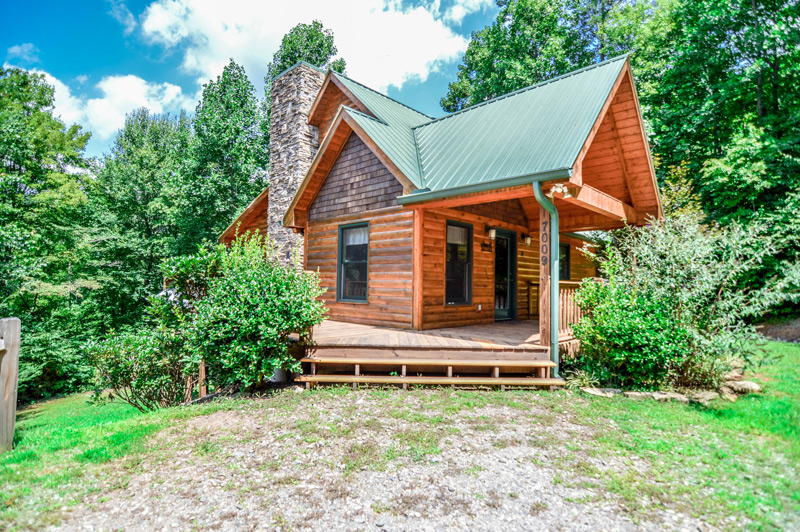 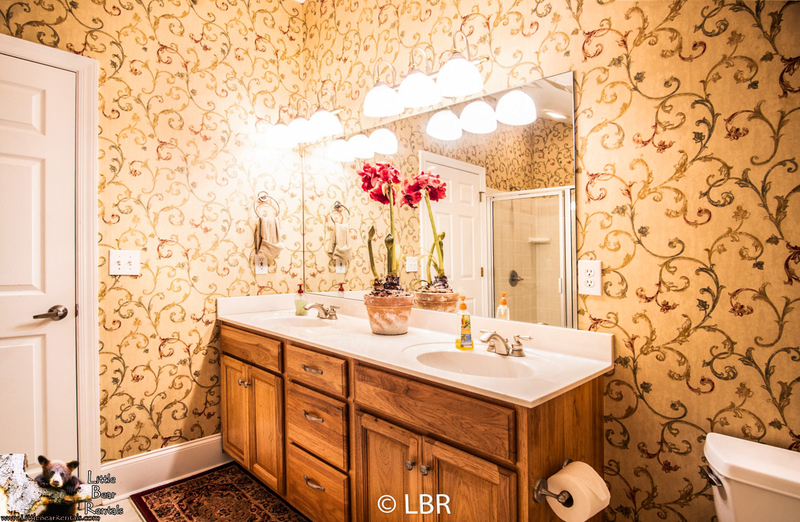 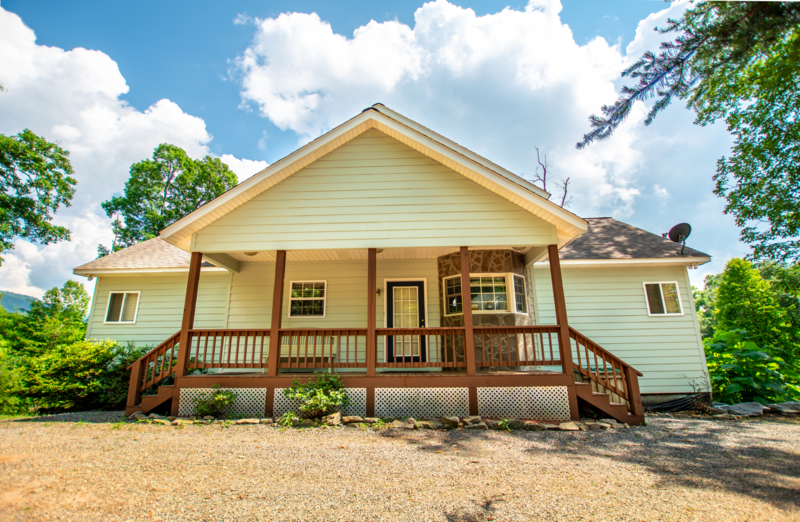 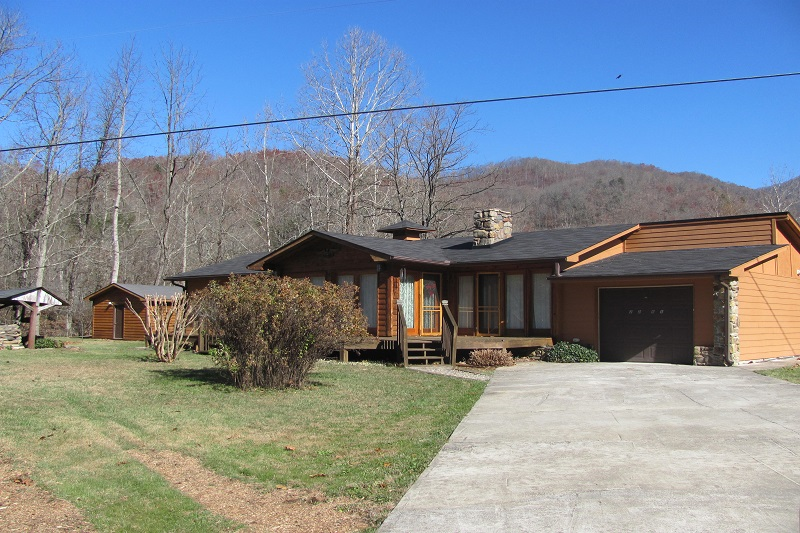 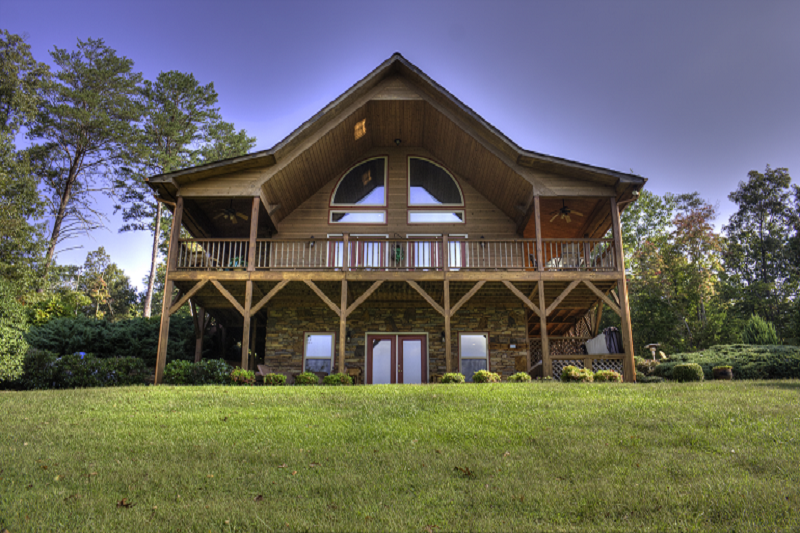 This home is close to the town of Hiawassee, Young Harris, and Hayesville, NC. 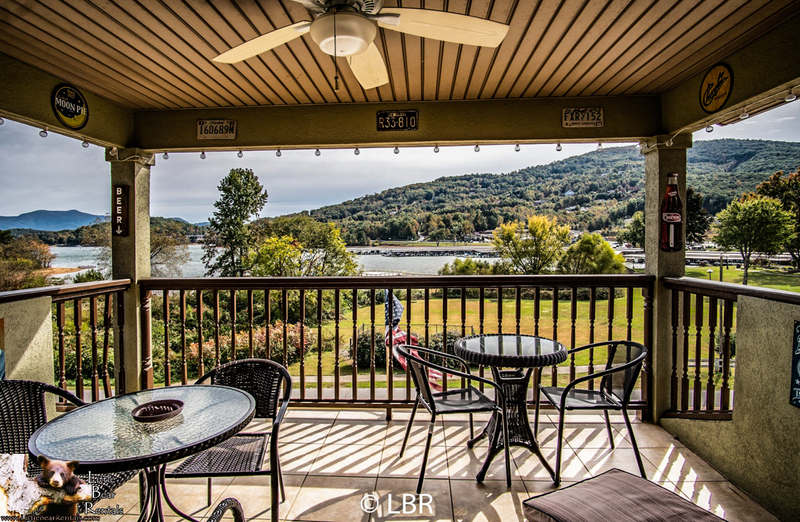 The area has many attractions such as shopping at boutiques or for antiques, hunting, fishing, hiking, swimming, boating, golfing, and much more. 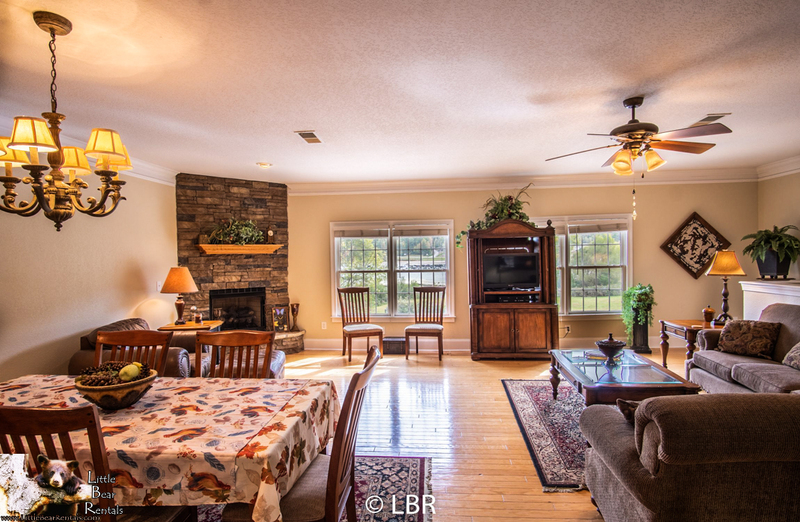 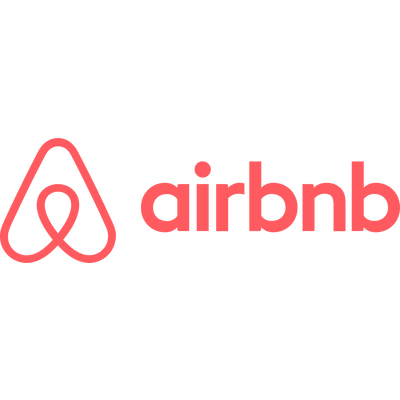 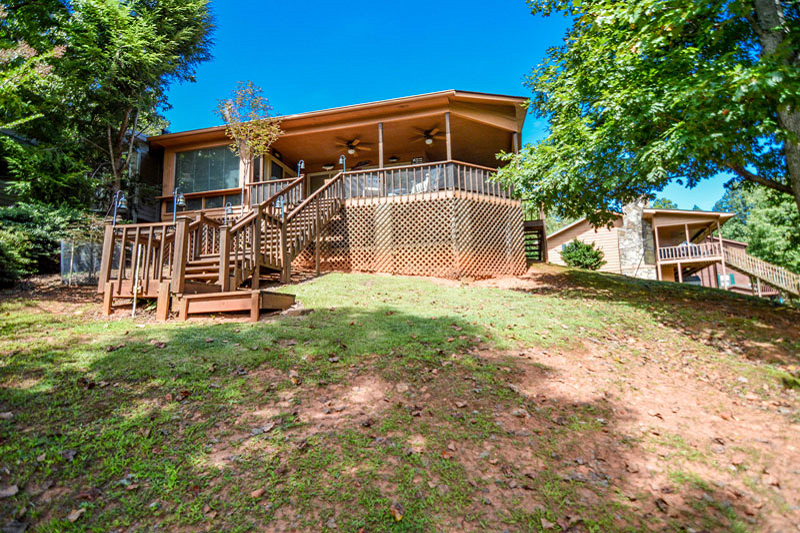 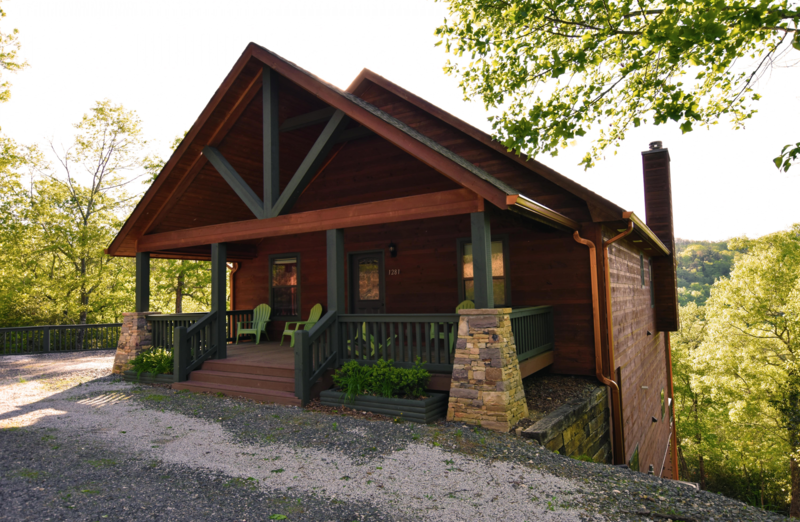 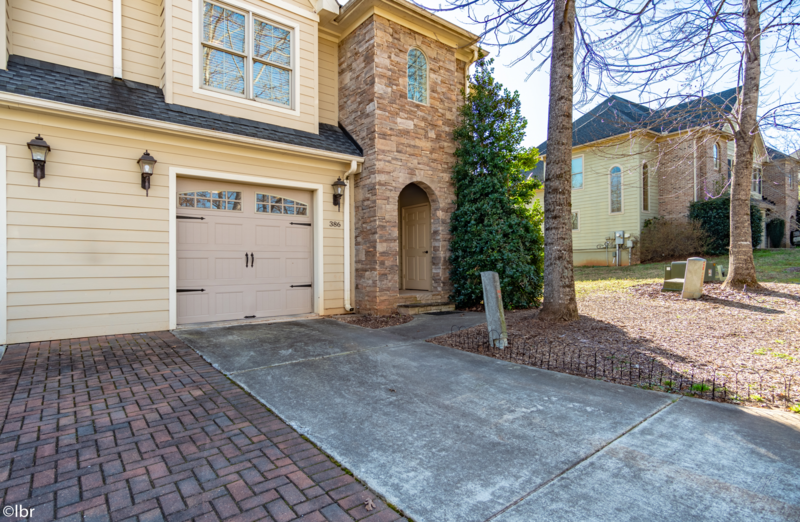 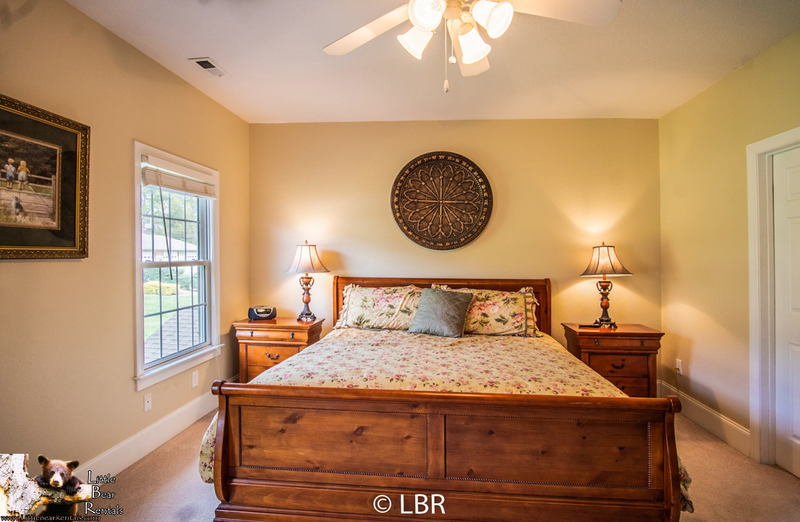 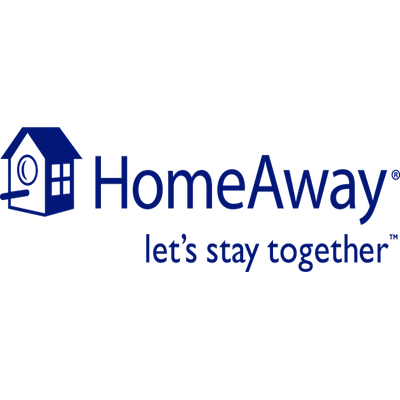 The home is also minutes from Brasstown Valley Resort and the Ridges Resort. 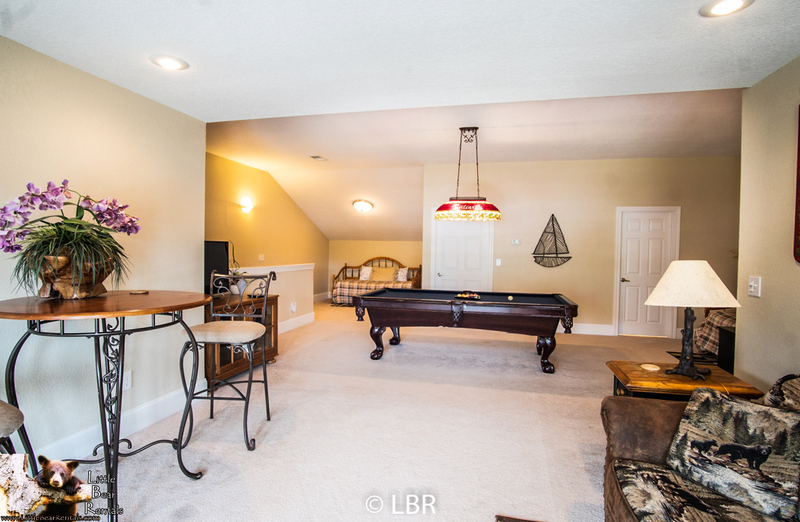 There is a set of stairs leading to the main floor and again to the next level. 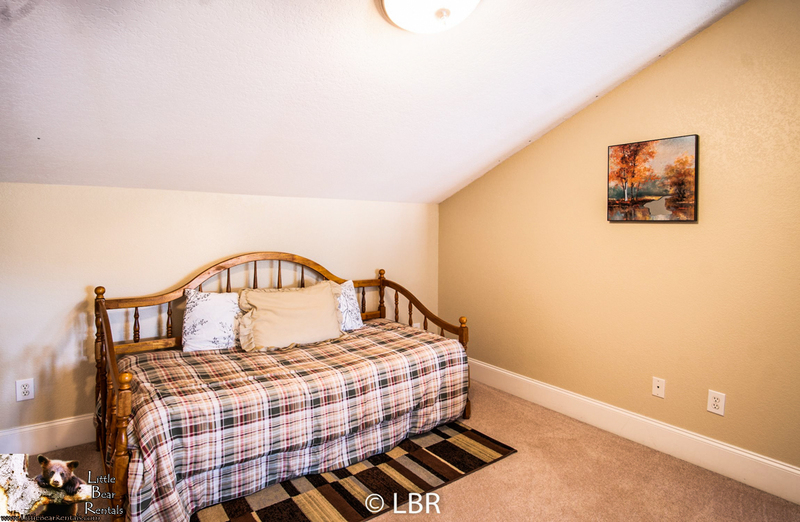 Book Stairway to Heaven Now!